Today was the third day of seminar, and the theme of the day was “Sustainable development and climate crisis”. 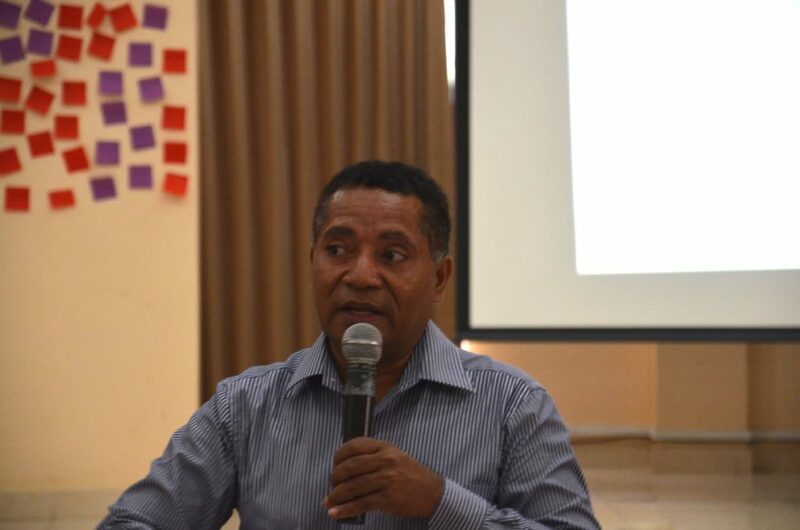 The seminar started with a lecture by Adao Soares Barbosa, a professor at the agriculture faculty at the National University of Timor-Leste (UNTL), on climate change and sustainable agriculture. The lecture focused on the impacts of climate change in Timor-Leste, now and for the coming years, and how Timor-Leste can handle such crisis, especially when it comes to agriculture. Professor Barbosa also mentioned the United Nation Convention of Climate Change (UNCCC), as a global agreement on climate change, with the aim to cut greenhouse gases, ensure food security and economic growth as well as achieve sustainable ecosystems. The participants responded with a lot of questions to Professor Barbosa, which resulted in a delayed snack break, which of course, was no problem. After the snack break, we continued the seminar with a workshop called “in the other’s shoes”. 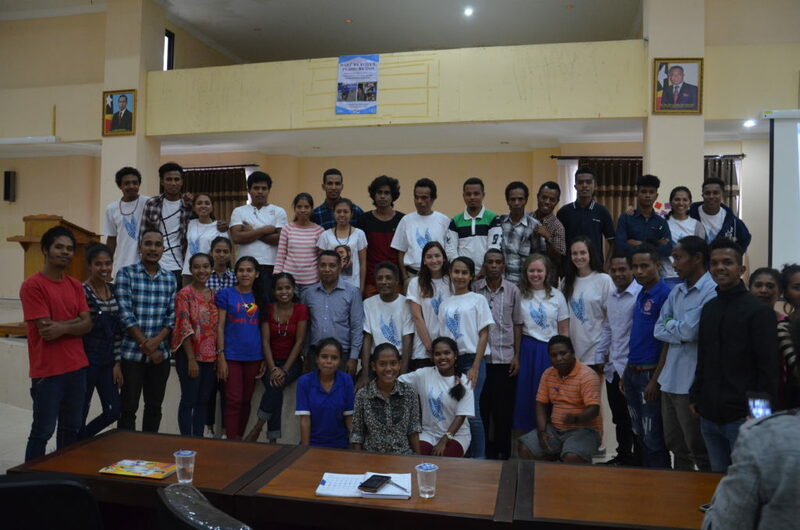 The workshop was supposed to make the participants gain a better understanding of each other’s way of thinking, especially in regards to sustainable development. The participants were divided into farmers and students, before they were discussing a set of questions while pretending to be of the opposite group. Despite some misunderstanding, all groups had great discussions and presentations. When the workshop was over, we all needed to get energized, so we did one round of Hi-ha-ho outside before having lunch. After lunch we did one activity called “the human knot” before we put the participants in the same workshop-groups from the day before, and continued with a discussion on the previous lecture and workshop. Among the discussion questions were: “why it is important to understand the different groups’ opinions and views on sustainable development?” “How is such understanding of importance in a society?” And “how can we best create a better understanding amongst different groups in the future?” After discussing within the group, each group presented what they discussed in front of all of us, and answered questions if there were any. This actually resulted in an impromptu debate! How to share an orange? The day ended with a small, fun activity called “how to share an orange”. 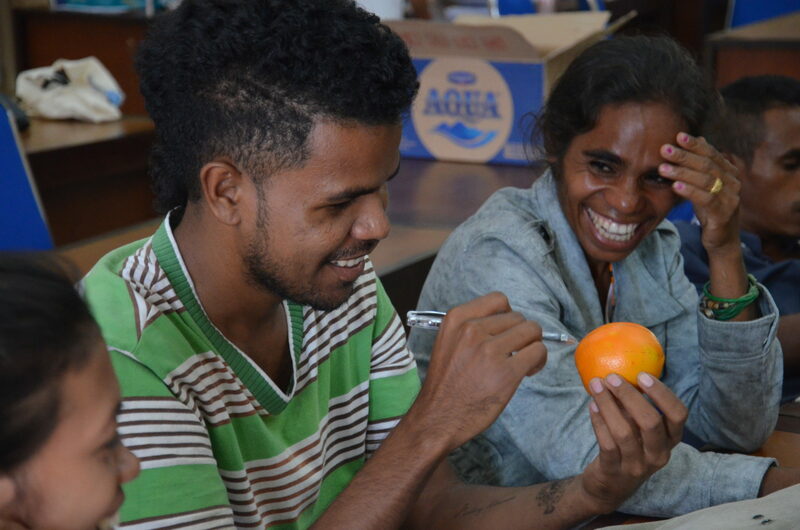 The participants were divided into groups, and were writing down all the possible ways to share an orange. One creative suggestion of sharing the orange was to freeze it, and then throw it at the wall to split it up into many pieces to share. 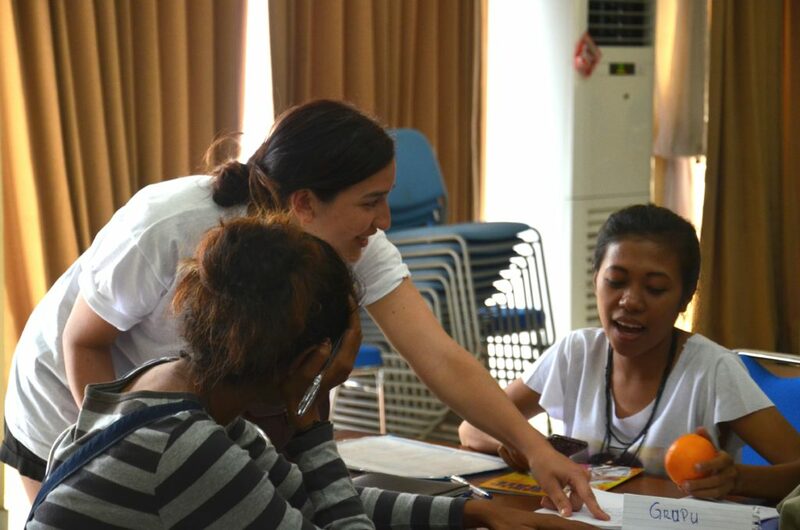 The aim of this activity was to make the participants see that there is always plenty solutions to a problem, as well as they have to work as a team and be creative. After the activity, they all shared the oranges, in the most conventional way.